East Wing Rules: Should A Social Secretary do PR Early? Should A Social Secretary do PR Early? Letitia Baldridge, the grand dame behind Camelot's social scene, is no stranger to publicity or managing crises that arise out of social disasters. She has some 25 books dedicated to helping us do something about manners and bon mots plus other publishing efforts to her credit. 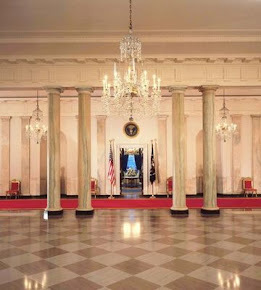 Mrs. Baldridge sailed straight into the Social Secretary role in the East Wing to burnish The Kennedy mystique with a chic entertainment style setting the bar rather high in the White House. She became famous later. Fast forward forty five years. 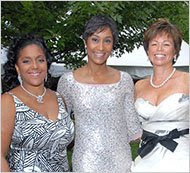 The first African American Social Secretary, Obama insider, Desirée Rogers, was appoin ted by the first bi-racial president to support him and his soignée spouse with planning the events of state. Huge job and Mrs. Rogers will be in demand all over the nation. But for the first time, this Social Secretary is starring in her own Vogue PR campaign before the Obama Administration has held its first majestic state dinner or flawless arrival ceremony. Crash cart before horse buggy. Do something first, then do the richly deserved press. 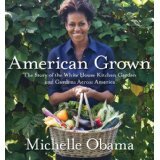 But again, she has the confidence of the Obamas after a great friendship in Chicago. Now their fierce friend is meeting the public first and we will willingly give her a break if she does interesting events at the People's House ensuring the president has awesome ceremonies of state. Social Secretary to a rock star presidential family as a role is very different than hands on in the day-to-day life of the Executive Office of the President as a career transition for one who was always the glamorous chief executive in charge back in Illinois.